It’s been some time since heard anything new about Ubisoft’s The Division movie, but, apparently, the project is alive, well, and just landed a new director. Per Variety, The Division will be directed John Wick and Deadpool 2 director David Leitch, which is a pretty big get for the video game movie. Leitch’s next movie will be the super-manly Fast & Furious spinoff Hobbs & Shaw starring Dwayne “The Rock” Johnson and Jason Statham. That movie will wrap filming late this year, allowing Leitch to begin prep work for The Division sometime in 2019. 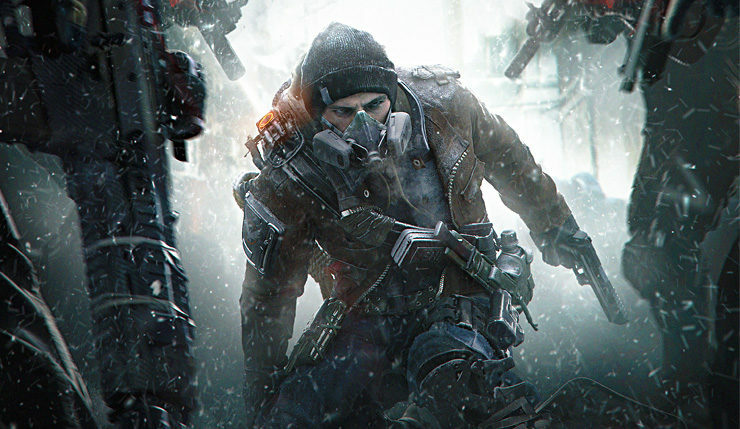 The Division movie was announced back in 2016, with Jake Gyllenhaal (who also starred in the 2010 Prince of Persia movie) and Jessica Chastain set to headline. According to Variety, Gyllenhaal and Chastain are still involved in the movie, and, in fact, have been rather hands-on – word is they’ve been “persistent” about making sure the movie matches the tone of the game. So, the movie is going to be nothing but gunfights and trying on hats? Stephen Gaghan (Syriana, Gold) was originally attached to write and direct The Division, but has since vacated the director’s chair. It’s unclear whether his script will still be used. Leitch, his partner Kelly McCormick, Gyllenhaal, and Chastain will produce alongside Ubisoft Motion Pictures, which is developing a long list of movies based on Ubisoft properties like Splinter Cell, Watch Dogs, Far Cry, Assassin’s Creed, and the Rabbids. Ubisoft is still shopping The Division around to studios, but it seems likely one of the will pick it up given the talent attached. Tom Clancy’s The Division has been one of the more impressive gaming redemption stories in recent years. While the game had an impressive launch, it was plagued with server problems and other issues, leading to a mass player exodus. Despite that setback, Massive and Ubisoft continued to support the game with a series of well-received patches. As a result, it recently surpassed the 20 million players mark. Ubisoft announced Tom Clancy’s The Division 2 last month, which is set to be revealed in full at this year’s E3.